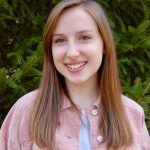 Camille Traczek is an honor student at Gettysburg college who brings her love of politics, foreign languages and writing to the Luminari team. Camille’s leadership and team-building skills will serve her well as our operations intern. She’s majoring in political science and public policy and is a member of Students Against Sexual Assault. Gourmet baking is one of Camille’s many talents. She also has a gift for writing. Camille is a three-time Silver Key winner for poetry and short stories from the Scholastic Art & Writing Awards program. Welcome Camille! Ash Warren views much of the world as a story to be told from behind a lens. 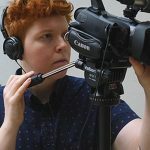 Luminari’s new Videography and Photography Fellow is a cinematographer, director and editor. Ash graduated from The Ohio State University with a degree in Women’s, Gender, and Sexuality studies and continued her education with a film technician certificate from the Community College of Allegheny County. Ash is a Next Generation Fellow at WQED-TV and she wrote and directed the short film, “A Visible Truth.” We are excited to have Ash bring her creative talents to Luminari! 2019 Camp Delicious! Sous Chefs: Taylor Flora and Treyvon Brack, both critical members of our Camp Delicious! family, will be working alongside Director Chef Roger Levine, WQED’s beloved chef Chris Fennimore and Pittsburgh Magazine’s 2018 chef of the year Jamilka Borges to share the message that cooking and the enjoyment of food is not something to fear. Each member of our dynamic Camp Delicious! Leadership Team offers a unique culinary perspective and experience that is sure to inspire a lifelong passion for good food and a more adventurous palate. 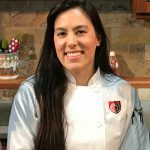 Luminari’s sous chef Taylor Flora is passionate about all things cooking. She’s dedicated and hard-working in the kitchen and believes culinary arts should be fun. Taylor is working on a degree in culinary management while also handling duties as a chef at Wheelfish restaurant in the North Hills. Taylor, we’re glad to have you as part of the Camp Delicious! team. Treyvon Brack wants to pass his culinary talents onto others. Luminari’s newest sous chef was a culinary tutor at the Art Institute of Pittsburgh where he most recently studied culinary management. Treyvon is a line cook at the nationally recognized Braddock restaurant, Superior Motors. Treyvon is a welcome addition to the Camp Delicious! team. ICYMI: 👨🏻‍🍳👩🏻‍🍳 2019 Camp Delicious! 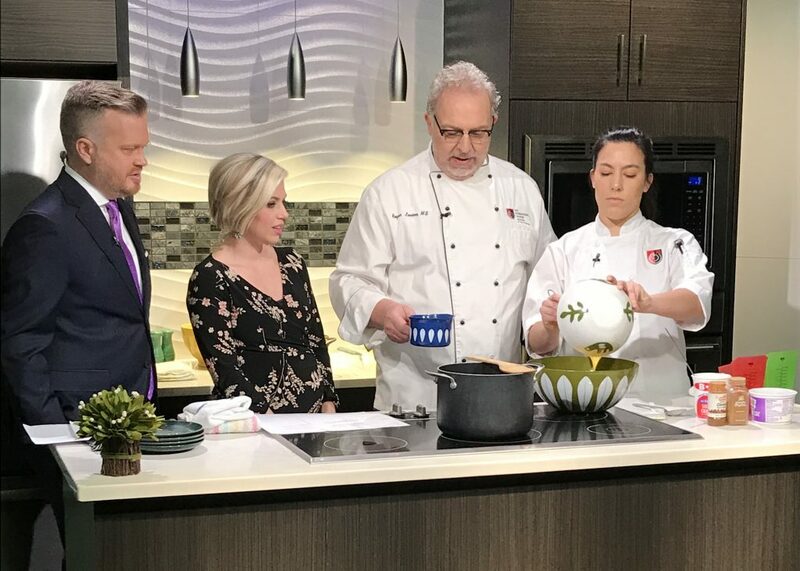 Director Roger Levine and Sous Chef Taylor Flora were invited on Pittsburgh Today Live (PTL) to talk about Camp Delicious! and share an old family recipe of noodle pudding called Kugel. 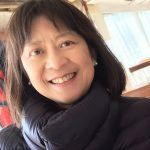 About the author: entrepreneurial in nature, Hilda Pang Fu doesn’t know anything about laying bricks, yet excels at building both non-profit and for-profit ventures. Global thinker, Social Entrepreneur, Communicator, Librarian, Advocate for gender equity, Hilda speaks three languages and is a porcelain painter. Hilda started Luminari because she believes each of us is a citizen of the world, and we all can use a bit of mind-broadening.